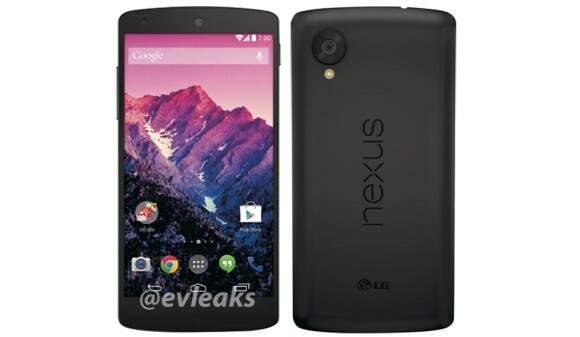 The LG Nexus 5 continues its quest to become one of the most leaked smartphones before its announcement. A press image of the Android handset appeared on Twitter, unsurprisingly courtesy of @evleaks. The image should hardly catch anyone by surprise. Other than the different wallpaper, it is exactly the same as the leaked photo from ten days ago, when the Nexus 5 appeared in the Google Play Store. 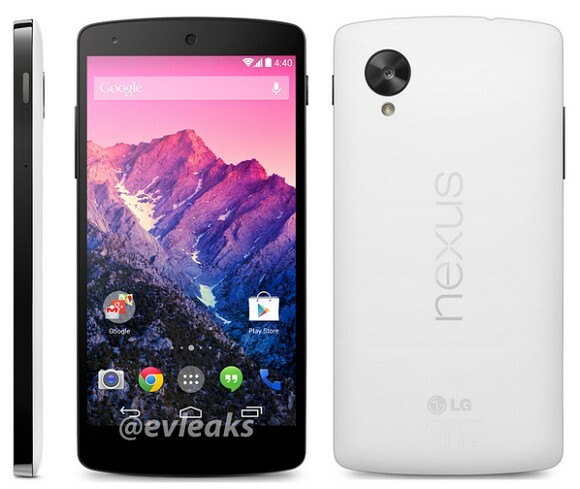 Update: Coming from the same source, here goes a photo of the white version of the Nexus 5. With the upcoming Nexus 5 having left nothing to our imagination, all that remains is for Google to finally take the cover off the device. This should happen any day now.